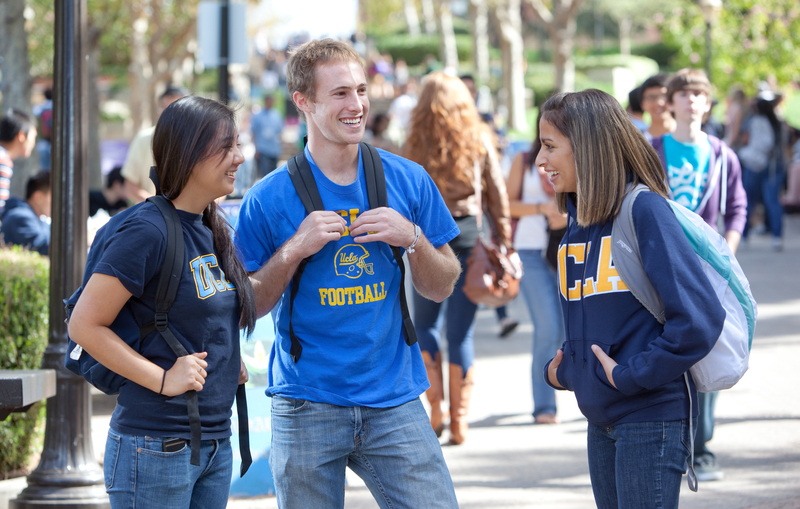 You can get a top-notch education in economics at California's public universities. UCLA's economics major is one of its most popular academic programs. An economics degree can open the door to a variety of career paths, including public policy, consulting, business and law. Choosing the right college for getting your bachelor’s degree in economics is the first step towards a promising future. Consider these schools if you hope to major in economics at one of California‘s public universities. An economics degree can open the door to a variety of career paths. The University of California (UC), Berkeley's graduate program in economics is ranked fifth in the nation by U.S. News and World Report -- the highest of any California college. Founded in 1903, Berkeley’s economics program boasts five Nobel Prize-winning faculty members. While the graduate program leads to a PhD in economics, there’s also a bachelor’s degree program in economics for undergraduates. Related undergraduate majors available at this college include environmental economics and policy and political economy. With its graduate program in economics ranked 15th in the nation, the University of California, Los Angeles (UCLA) economics program is also one of the more prestigious options in the state. UCLA also has one of the largest economics departments in the country with over 2,000 majors enrolled. This extremely well regarded college offers a wide range of workshops and research opportunities for its economics students. UC San Diego is currently tied with UCLA for having the 15th best graduate program in economics in the U.S. In addition to their ranking, these colleges also share a focus on undergraduate- and graduate-level research opportunities in economics. Econometric theory, microeconomic theory, macroeconomics and international economics are just a few of the areas in which UC San Diego’s economics department specializes. At UC Davis, the economics graduate program is ranked 32nd in the nation according to U.S. News and World Report. Undergraduates majoring in economics at this college are encouraged to pursue internships and jobs in the field in order to gain valuable hands-on experience. The economics department at UC Davis also has a chapter of Omicron Delta Epsilon, an academic honor society for economics and international relations majors. UC Davis is the largest campus in the University of California system. With an economics graduate program ranked 46th in the country, UC Irvine is another smart option for future econ majors. This college’s economics department includes an undergraduate program with majors in business economics, economics and quantitative economics, with an optional specialization in international issues and economics. UCI also has an economics honors program available for undergraduate students. At California State University, Los Angeles (CSULA), the undergraduate program in economics is a part of the school’s College of Business and Economics, which has a nationally ranked business program. Though the economics program isn’t ranked as such, the many overlapping courses and faculty with the business program lend prestige to this degree path. Students at CSULA can minor in economics with a business degree, pursue a specialty in applied economics or business economics, or go on to earn a master’s degree in economics.